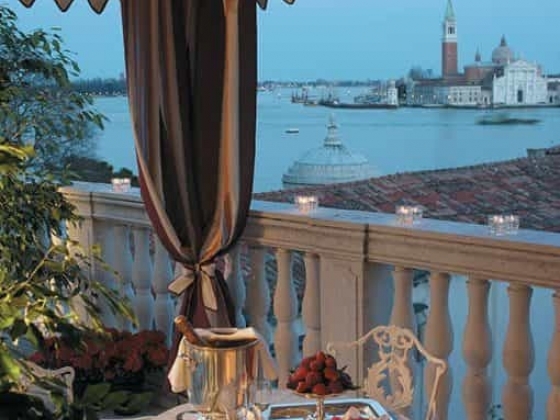 Just a stone’s throw away from St. Mark’s Square, Baglioni Hotel Luna, the city’s oldest hotel with wonderful views over the Basin of San Marco and St. George’s Island, is an exclusive venue to celebrate in style, offering expert advice and tailored solutions, from classic buffet to exclusive cocktails, traditional wedding banquets and dance receptions. 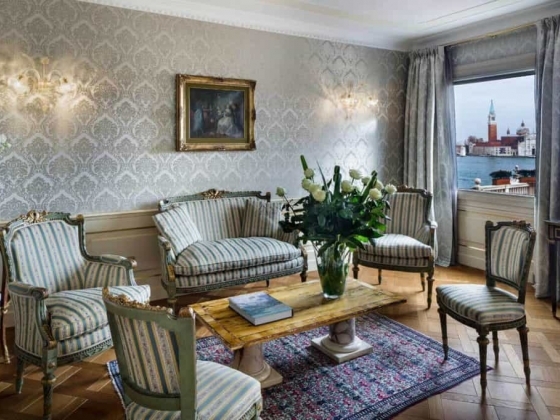 A private landing stage allows guests to arrive straight to the hotel’s elegant entrance by gondolas or water taxi. 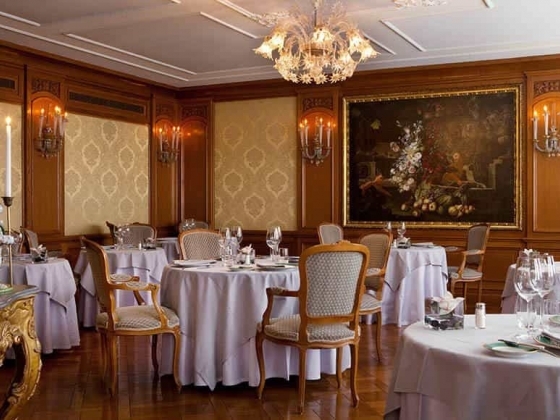 The Fireplace room, with its warm and intimate atmosphere, and the Caffè Baglioni, are the perfect location for cocktails and appetising snacks. 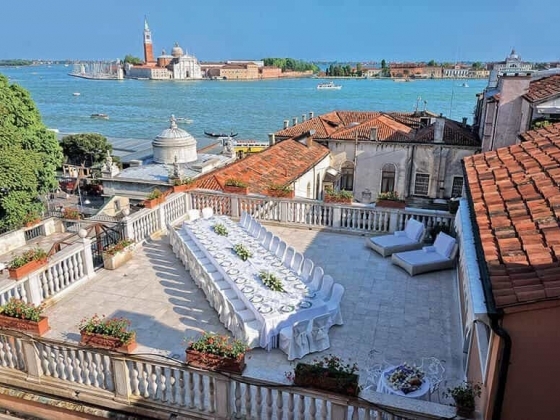 Canova Restaurant renowned for its refined local cuisine and romantic atmosphere is an intimate and elegant place where you can savour Venetian specialities and a wide choice of international dishes, along with an extremely wide selection of fine wines. 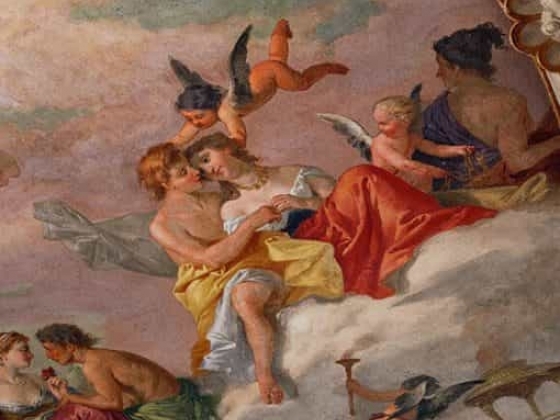 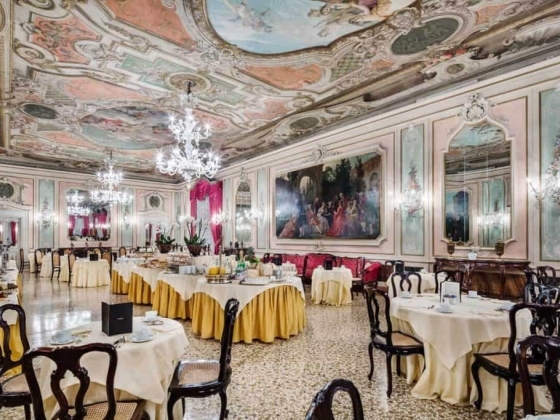 Enjoy your party in the stunning setting of the Marco Polo Ballroom, a real Venetian jewel decorated in the 18th Century with wonderful frescoes by the apprentices of Gianbattista Tiepolo. 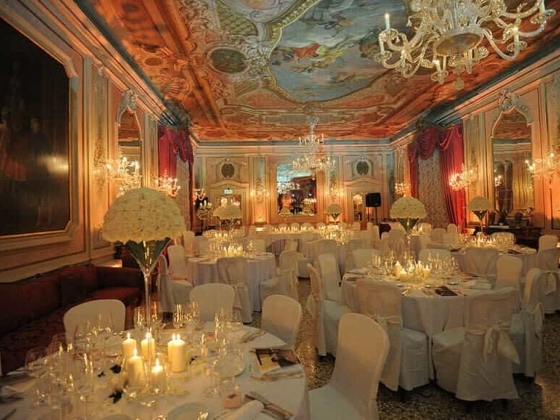 This ballroom boasts a unique ambience for musical events, parties, weddings and banquets for up to 160 people. 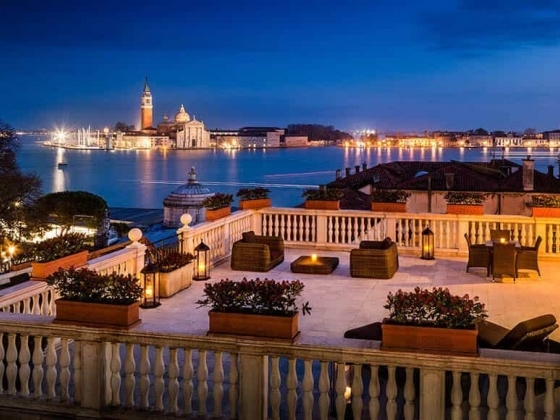 Give yourself the chance to experience unique moments on an exceptional, marble private terrace directly facing St. Mark’s Basin and part of our signature Suites where you can enjoy romantic dinners or exclusive private cocktails for up to 80 people. 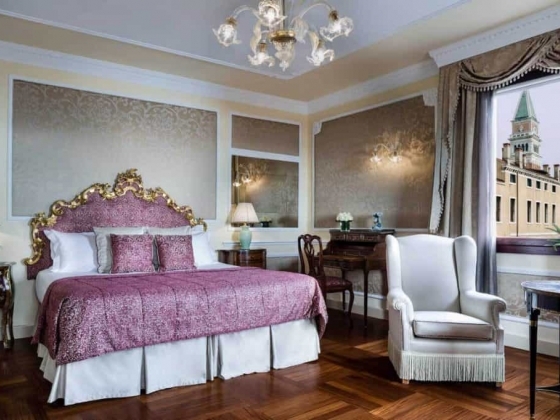 Whether it’s an elegant gala dinner, a private party, a luxurious wedding or an intimate family celebration, your event at the Baglioni Hotel Luna will become an unforgettable experience. 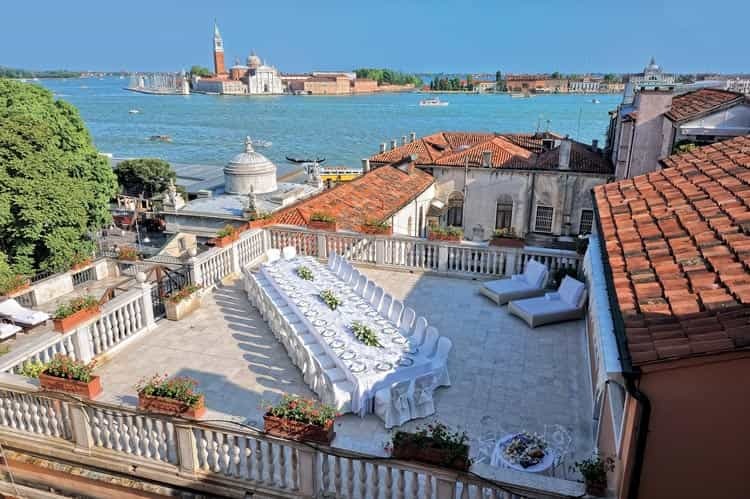 Venue Capacity: The Marco Polo Ballroom: up to 160 people The Canova Restaurant - seating capacity of 60 people Private terraces - perfect for receptions catering up to 60 people. 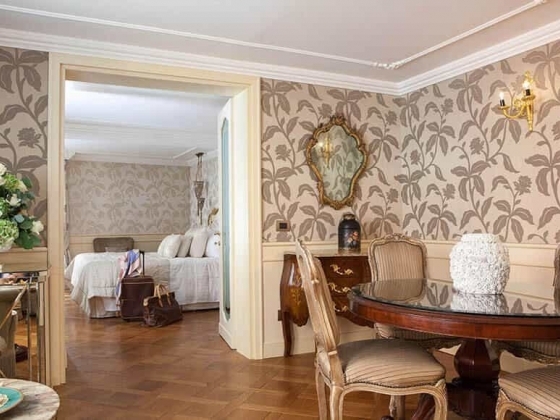 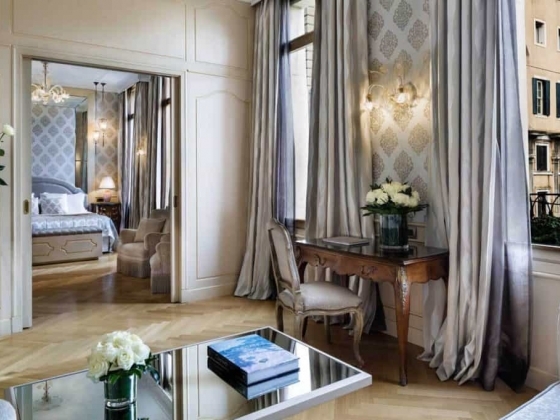 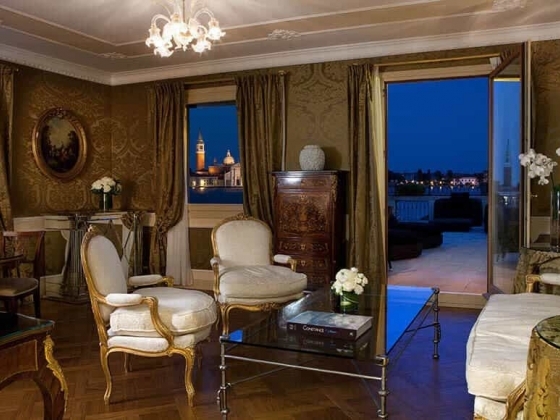 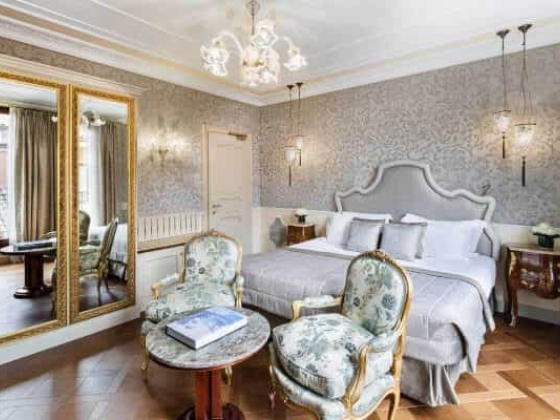 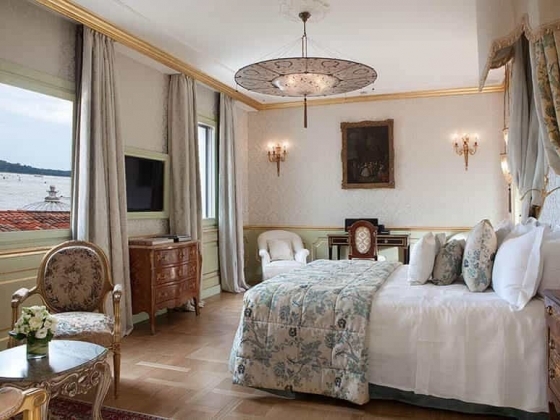 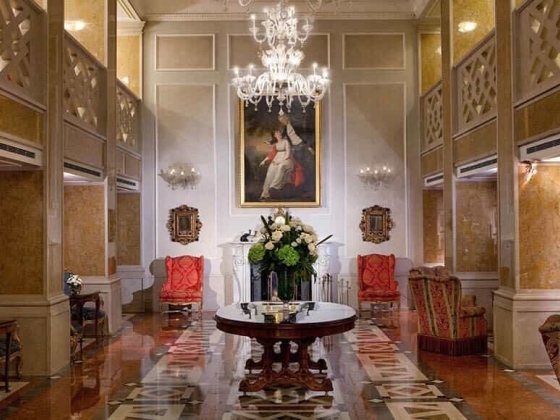 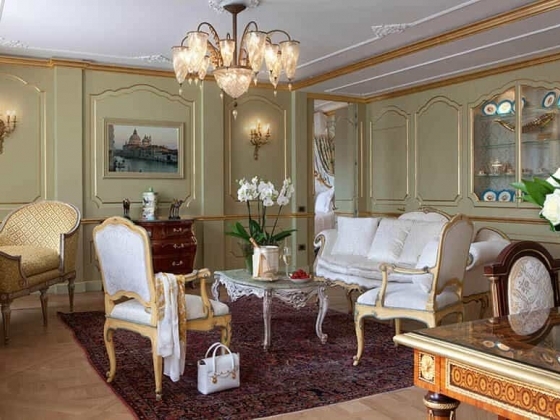 Accommodation: Discover Venice’s most romantic side by staying at the Baglioni Hotel Luna. 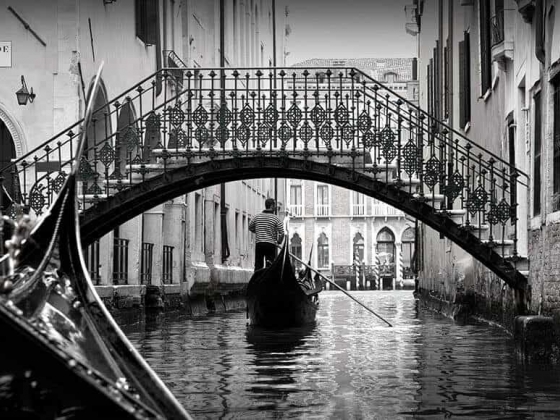 Access the heart of the world's most fascinating and mysterious city. 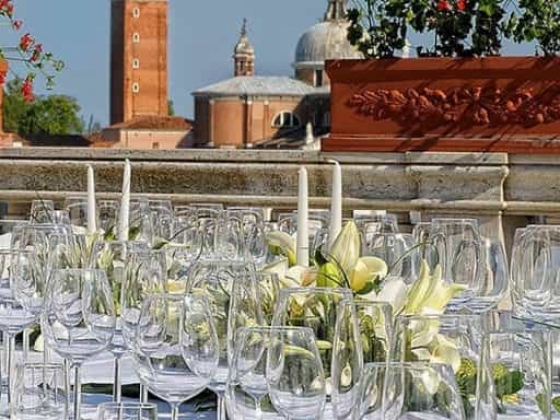 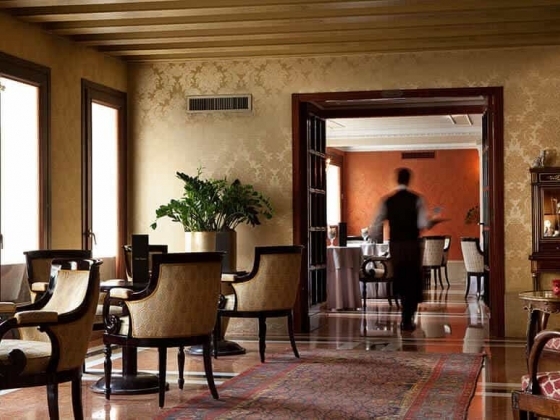 Dining Options: A carefully selected range of the best wines will accompany special menus consisting of traditional Venetian and national dishes.